Bitcasino.io is first and foremost a leading Bitcoin casino. It is fully licensed to offer online gaming operations, courtesy of the government of Curaçao. This Bitcoin casino sports the following licence number: 1668/JAZ. Hundreds of Bitcoin casino games are available, and the software is provided courtesy of multiple leading gaming providers such as NetEnt, Elec Games N.V. and others. All gaming outcomes at Bitcasino.io are fully compliant with TST standards. Additionally, this gaming platform is 18+ secure, certified by Ask Gamblers, and a Bitcoin Foundation Silver Member. All online gaming activity is 100% secured by Cobalt. What makes this BTC casino, sportsbook and lottery provider so exciting is the sheer number of available games. Our in-house experts reviewed all aspects of Bitcasino.io, including customer support, technical information, bonuses and promotional offers, safety and security, gaming variety, VIP, BTC information, casino games and registration. What is most impressive about this BTC casino is that it was the first licensed BTC casino in the world. Cutting-edge technology has allowed Bitcasino.io to remain a global leader in BTC gaming. Cryptocurrency is fast gaining traction in the online gaming arena. 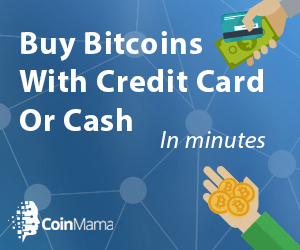 It offers a hassle-free alternative to fiat currency. This is particularly useful in heavily regulated jurisdictions where governments make it difficult, if not impossible, for banks and financial institutions to process transactions to online casinos. In the USA for example, the UIGEA (Unlawful Internet Gambling Enforcement Act) proscribes banks from transferring funds to online casinos. BTC is a viable alternative in the sense that Bitcoin is not regulated by central banks or governments. Its total production is capped at 21 million and it is governed by algorithms using open source software. This peer-to-peer based system is completely online and transparent at all times. No personal identification details are required, and this lends itself to greater anonymity in transactions. Players can enjoy these and many other benefits at Bitcasino.io. If you’re looking for additional information on BTC, simply click on the relevant tab on the home page. There you will find a guide on cloud wallets, software wallets, buying and selling BTC, spending BTC etcetera. Players will enjoy a fully comprehensive, instructive and engaging guide on why to use Bitcoins, what Bitcoins are, and how to acquire Bitcoins. Bitcasino.io features multiple game categories including the following: casual games, multiplayer games, blackjack, video slots, jackpot slots, roulette, table games and video poker. There are a huge range of available titles, including the following selections: Octoberfest video slots, Burning Flame, Lotus Love, Fortune Panda, American Blackjack, Greedy Goblins, Dragon King, Global Offensive, Legend of Satoshi, Zoom Roulette, Lady Luck, African Sunset, Deep Sea Danger, House of Fun, Under the Bed, The Emirate, Arabia, Dark Spin, Bedtime Stories and more. These slot games, card games, table games and other games can be played in a fun play mode or a real money mode. Fortunately, registration can be completed in under a minute at Bitcasino.io. Top Card Trumps is an exciting game to play in that you can choose your chip size, place your ante-bets and then deal. Players have between 1 and 3 seats at the table and provided your top card beats the dealer’s top card, you win. Tie bets in the game pay 10 to 1. Our gaming experts were focused on the poker games. There are an incredible range of games available including Ride’m Poker, Oasis Poker, the Live Dealer Lobby, Red Dog, Top Card Trumps, Triple Edge Poker, Pai Gow Poker, Three Card Rummy, Caribbean Poker, and Poker 3 Heads up Hold’em. The most highly-rated poker games are Triple Edge Poker, Top Card Trumps, Ride’m Poker, and Oasis Poker. Fortunately, you can practice any of these games online for fun by simply clicking on them. In terms of available poker games, we previewed the most popular attractions in Ride’m Poker and Oasis Poker. For Ride’m Poker, the basic payouts for a Royal Flush are 1,000:1, and 10s or Better pays 1:1. To get started, simply choose your chip size and place your wagers on the table. There are 3 vacant seats, which means that you can play up to 3 hands simultaneously. Once you have made your bet selections, click the deal button. 3 cards will be dealt face up for each hand. You have the option to pass or to ride. Next up, the dealer’s second card will be dealt face up. Once again, you will have the option to pass or to ride. With your 3 cards and the 2 dealer cards, you will attempt to compile the strongest 5 card hand. With bonus payouts, a Royal Flush pays 20,000:1 and 3 of a kind pays 5:1. The goal of this game is simple: the player competes against him/herself, while the dealer simply deals the cards. Players must choose to either allow the bets to ride or to pass before the dealer flips over his/her 2 cards. Note: you’re playing against yourself in trying to formulate the best 5 card hand with Ride’m Poker. We tested several games like this one to understand the smoothness, rate the audio-visual quality, and functionality of the platform. You can see the table limit on each of the casino table games. With Ride’m Poker for example the minimum wager is 1, and the maximum wager is 100. You can toggle sound on or off, and click the help button for additional information on game rules. Players can even maximise the games to take up the full screen, or simply click the escape button to revert back to the partial screen. If you wish to switch between fun play mode and real money mode, simply click on the appropriate buttons on the top right corner of the screen. Once you’re ready to register, simply click the register button. Note: if you are from an unregulated gaming jurisdiction, you will be diverted from Bitcasino.io to VegasCasino.io. There you will have an opportunity to enter your username, email address, date of birth, password and/or referral. All in all, there are 250+ Bitcoin casino games available and 200+ BTC in jackpots available. All the accounts are guaranteed safe and secure and rapid withdrawals are available. More importantly, you can contact customer support 24/7 for technical, banking, gaming and payments-related issues. One of the most exciting added extras at Bitcasino.io is the green ‘Be Calm’ tab found on the right of the screen. If ever you’re feeling a little stressed about your upcoming gaming session, simply click on it and you will be taken to a calming website that you can regather your thoughts – definitely a nice touch for serious poker players. As soon as you have registered your account at Bitcasino.io, you can proceed to make your deposit. If you don’t know much about BTC, know this: you don’t need to worry about banks and financial institutions transferring funds to/from your online casino account. Everything is done via this digital currency. You can acquire BTC, at an exchange. You will need a virtual wallet or you can store your BTC on your hard drive. You have multiple payment methods available to you when acquiring your BTC. But once you’re ready to transfer BTC into your online casino account, you simply add the address to your preferred wallet. You can use your mobile smartphone or tablet to scan the QR code. Once you have made your deposit, you will then instantly be credited with the requisite number of mBTC. Withdrawals are equally easy to process. From the top of the page, simply click on the withdrawal button. From there, you will find the BTC address. Enter the amount you would like to withdraw, and presto you’re golden. The beauty of playing for real at Bitcasino.io is that you are instantly credited with deposits/withdrawals. What About the VIP Program? If you’re from an unregulated gaming jurisdiction and you would like to play for Bitcoin, you can always use a VPN such as HMA! Pro VPN. Be sure to refresh your browser, or to delete cookies so that you can login and play. We recommend that BTC players always use VPNs (Virtual Private networks) to safeguard their traffic, anonymity and funds transfers. To get started with the registration at Bitcasino from a regulated jurisdiction, simply enter a username, email, date of birth, password and/or referral. Once you agree to the T&C, you’re in. Fortunately, there are many benefits awaiting players, including the VIP rewards program. You get to enjoy tremendous gifts such as an iPhone 6 with a 4.7-inch retina HD display, the Samsung curved 55 inch 1080p 240 Hz 3-D Smart LED HDTV, your own gifts, Apple MacBook Pro PCs or the XBOX ONE. Becoming a VIP simply requires you to play for real. A VIP hostess will then contact you to invite you to join the VIP club. Many benefits are available including free BTC play, real prizes, superior bonuses, reduced rollovers and so forth. There are several ways to get in touch with customer service representatives at Bitcasino.io. These include live chat functionality, a detailed FAQ database and a contact us option. The chat function requires you to enter your username and email, or you can login with Facebook. It is powered by LiveChat, and provided that agents are available, you’ll get speedy resolution to your queries. The contact us option is an online contact form. You simply enter your username, email, subject of your query or comment and the message. Once you click the send button, you will have to wait for a customer service representative to get back to. The FAQ database is well-stocked and includes all information about BTC (acquiring them, using them, defining them, a Bitcoin wallet and security). There is also information on the cashier, responsible gaming and the casino. We tested customer support via each of their contact options and found them to be professional and courteous at all times. It is a good idea to read the FAQs prior to registering and depositing at Bitcasino.io so that you know precisely what to expect ahead of time. Fortunately, BTC casino players will find plenty of information on deposit bonuses, VIP bonuses, reload bonuses, second deposit bonus offers and the like. It is possible to claim up to 1 BTC on all deposits made at Bitcasino.io. This means that if a deposit of 3 Bitcoin is made, the match bonus will also be 3 Bitcoin. There is also a 50% second deposit bonus available. And to cap it off, there are also multiple reload bonuses of 25% on all subsequent deposits. We have already briefly touched on the VIP program, and this is especially geared towards high rollers. The more you play, the more you stand to gain from the VIP program. To find out more about the VIP program, you can simply login with your username/password. What are the Positives of Playing at Bitcasino? io is fully licensed by the Government of Curaçao. There are hundreds of casino games available, including slots, card games, table games, live dealer games and more. Players can enjoy complete anonymity with quick and easy registration, deposits and withdrawals. All games are provably fair with TST testing compliance, 18+ security and the highest encryption protocols. Games can be enjoyed in a free demo mode and a ‘real’ money mode for Bitcoin. This online casino caters expressly to Bitcoin players – no need for banks for deposit and withdrawal purposes. Customer support is responsive and professional. There is a generous range of promotional offers, redeposit offers and the like. It should be made known from the get go that Bitcasino.io is a leading BTC casino. In fact, it was the very first BTC casino to be licensed. As such, it has built up a solid reputation and a loyal following. It is relatively easy to register, deposit and play at Bitcasino. Plus, there are scores of promotional offers available to make it really enticing for players. There are hundreds of slots, card games, table games and other games available. These games can be played online for free, or for real money. You can easily switch between play mode and real money mode at the click of a button. The gameplay is smooth and the range of attractions is enough to tempt even the most discerning of players. We evaluated this BTC casino on all of its core components, and it has passed the litmus test with flying colours. The poker games are particularly exciting, and the software is bang on the money. You can even follow the action on Twitter if you’re so inclined!